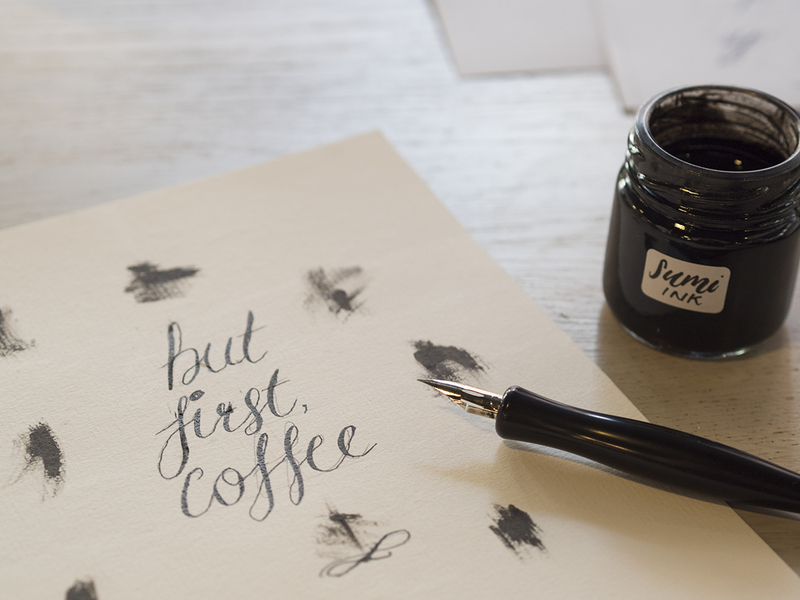 When you lose a few hours of your life endlessly scrolling through beautiful prints on Etsy, it’s inevitable that at some point you’ll find yourself wanting to try writing your own calligraphy. “It looks dead easy,” you’ll find yourself saying. I know that after stalking Artsynibs on Instagram, I really did think “well look how effortless her writing is, EASY”. The thing with calligraphy is that, as with most things in life, it takes a lot of practice and you kind of need someone who can at least show you the basics to get started. 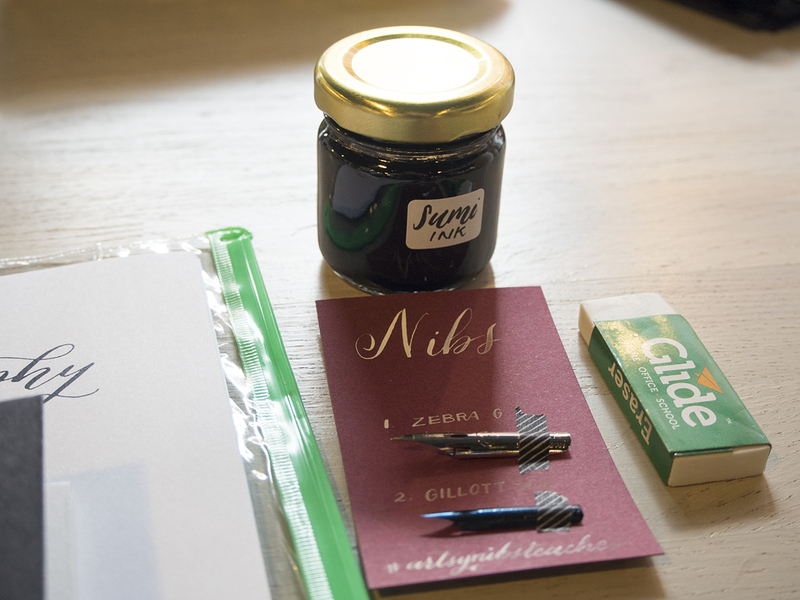 So when Joyce of Artsynibs invited me down to her ‘Introduction to Modern Calligraphy’ workshop in Manchester, I let out a genuine squeal of excitement. 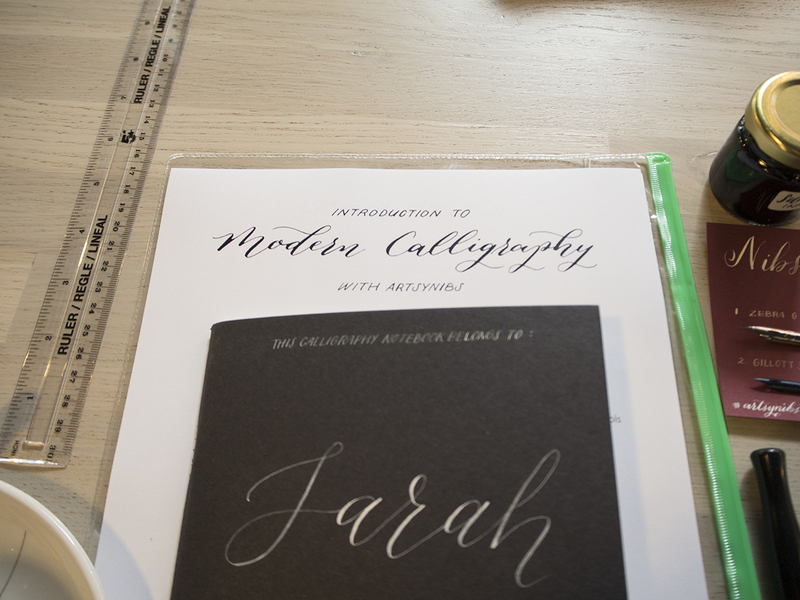 I definitely needed some help to get me from scribbles to beautiful Etsy-worthy calligraphy prints. 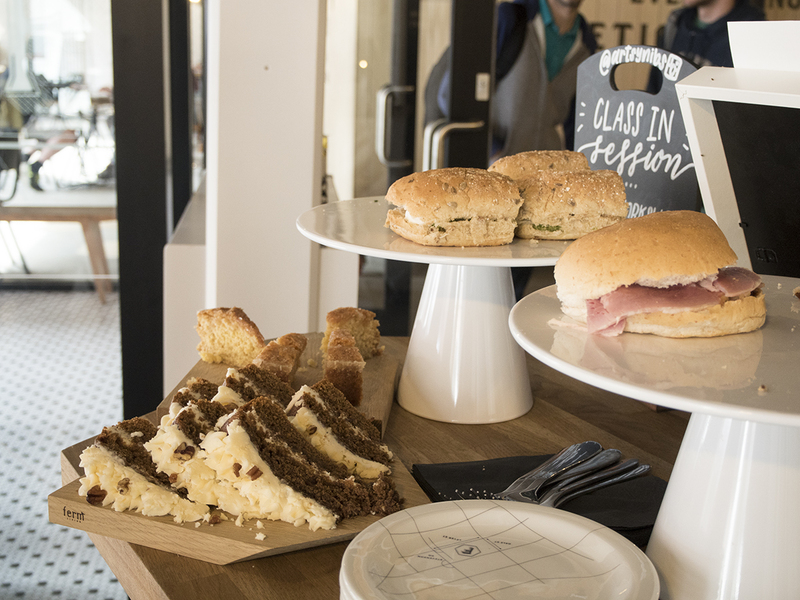 When I found out that the workshop was going to be held in Foundation Coffee House in the Northern Quarter, Manchester, I knew it was going to be a pretty great way to spend a Saturday afternoon. 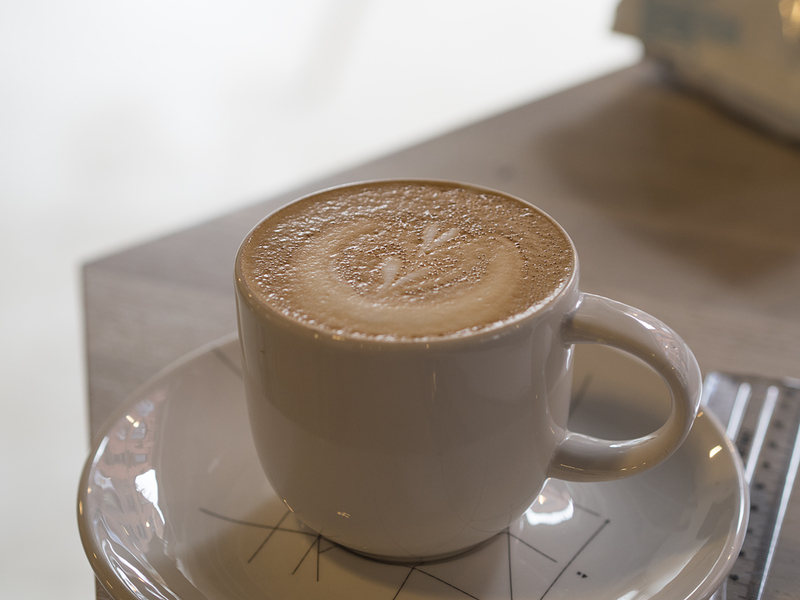 The guys here really know how to craft a really good coffee, so we all helped ourselves to a hot drink (flat white for me) before settling down at our desks for the afternoon. 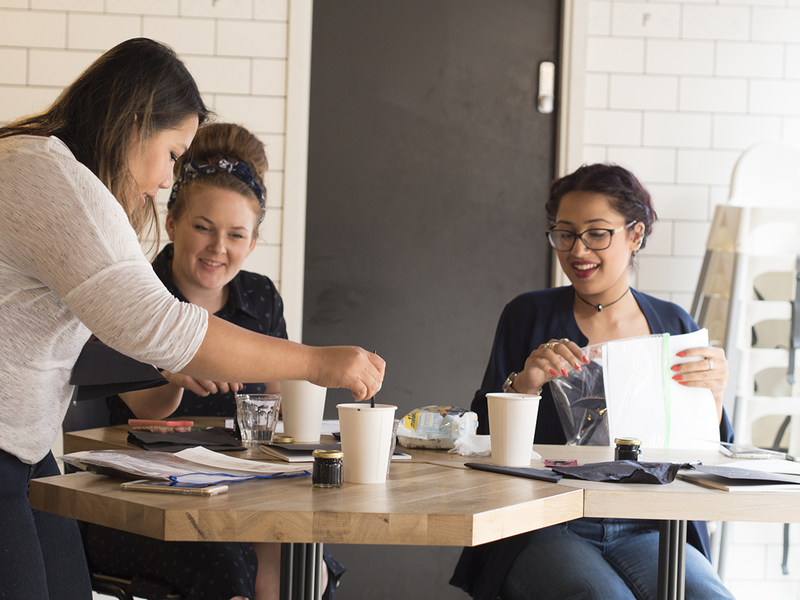 I was actually a little nervous about attending on my own, but there was nothing to worry about as the workshop was filled with other friendly girls and our lovely teacher, Joyce. 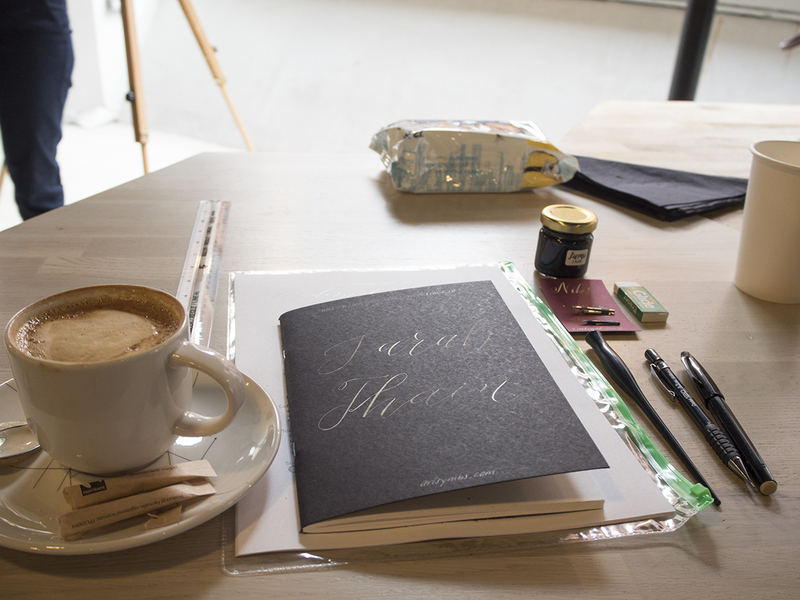 She had very kindly laid out all of our kit for the workshop, including the most gorgeous sketchbooks with our names personally handwritten on the cover, Sumi ink, worksheets, nibs, pencil, eraser and a nib holder. After a full explanation of our tools and how to correctly hold your pen, which is actually a little more tricky than you’d think, we started our first worksheet. Using our pencils to draw lines continuously up & down, Joyce explained the importance of ‘warming up’ before diving straight into our lettering. When you first start calligraphy, you’ll notice your body tenses up and you kind of forget to breathe properly, which can really affect the quality of your writing. So it’s really important to hold your pen correctly, try not to hunch up your body and just relax before you start to write. 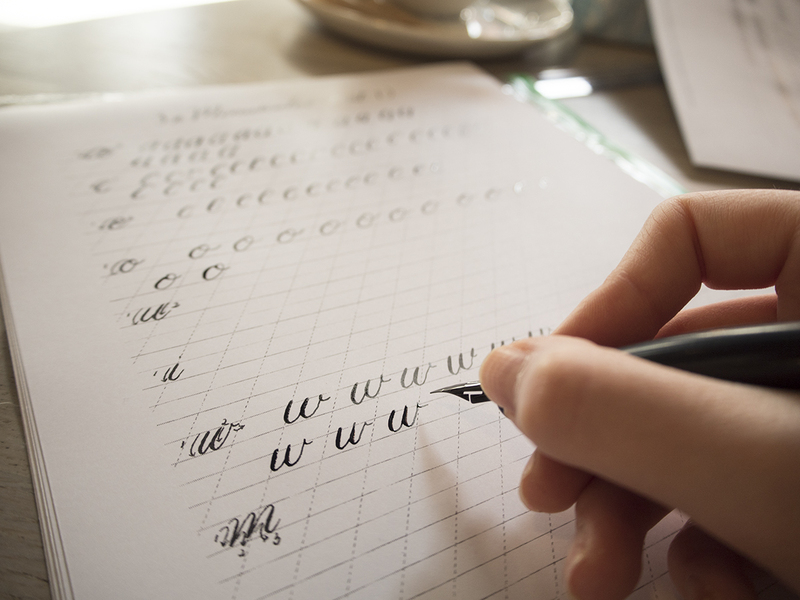 Once you’re suitably warmed up, you can start to practice the strokes that form different letters before moving on to practicing lowercase and uppercase letters, also known as minuscules and majuscules in calligraphy terms. I found that some letters came naturally to me, like the w’s pictured above, but some were very tricky to master, like the r’s that I didn’t photograph and definitely need to work on! After a break to wolf down some delicious sandwiches and cake, which are included in the workshop’s price, we got to work on the final part of the workshop: writing our first calligraphy quotes. Although Joyce wanted us to practice as much as we could, she was also very keen to get us writing our very own quotes so we could see how far we’d come in such a short space of time. I chose the quote ‘but first, coffee’, which I sketched out in pencil first and wrote over in my neatest (hah!) calligraphy. I’m by no means ready to start whipping up calligraphy quotes to hang on my wall, but it was a great introduction to the art of calligraphy and I feel well equipped to start practicing by myself now. A huge thank you to Joyce, who taught us all so well and made us feel one step closer to mastering calligraphy. 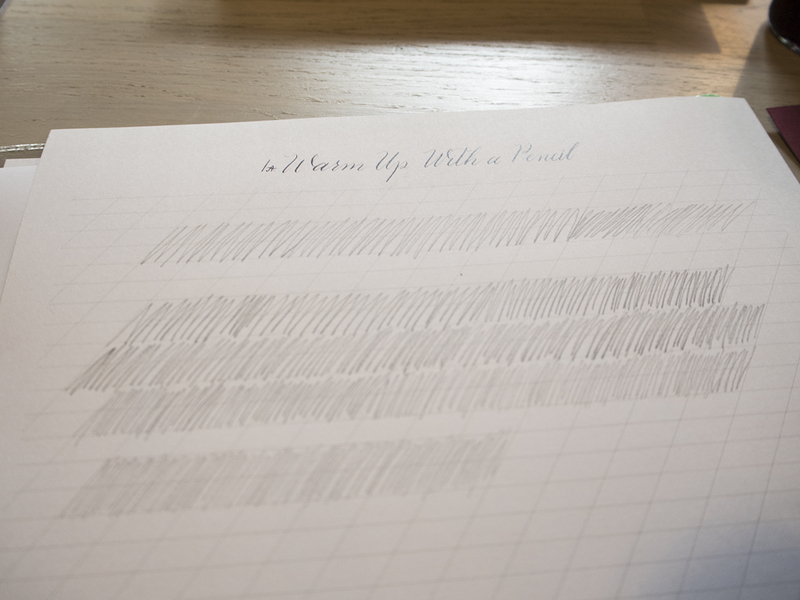 My next step is to handwrite my blog post signature in my own beautiful calligraphy style… so stay tuned for that! 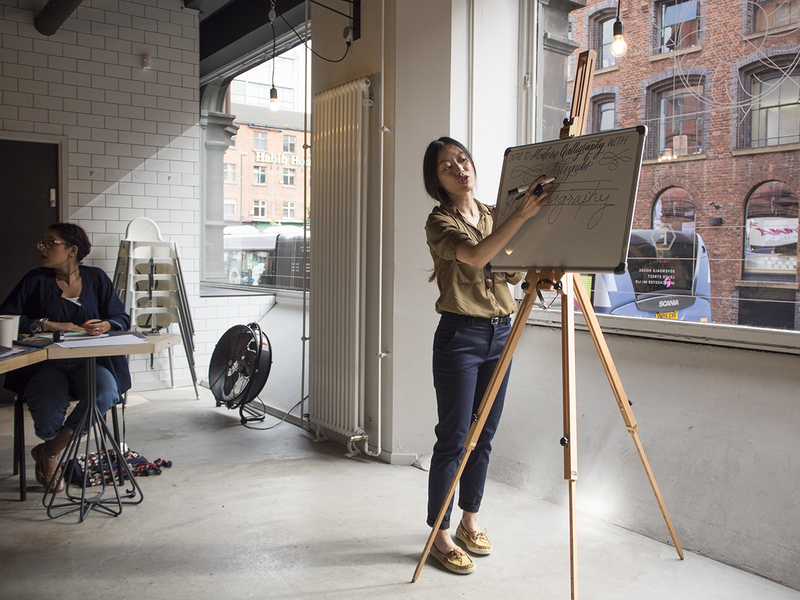 For £49, you can join Joyce’s next ‘Introduction to Modern Calligraphy’ workshop in Manchester on Saturday 17th October. Find out more on her website here. What do you think of calligraphy? Have you ever tried it out for yourself?